At Bhondsi prison in Gurugram, with the guidance and support of India Vision Foundation, a few of the male inmates have formed a music group in which they compose and perform songs and religious tunes. A few of the inmates believe that joining this group helps them get released earlier since it connects them closer to god. This may be true but what is true for certain is the positive correlation between music and positive effects on the inmates' emotion and behavior. The inmates tend to experience anxiety, depression and poor social relationships. Music therapy has been proven to help with the treatment and feeling of all of those sensations and situations. 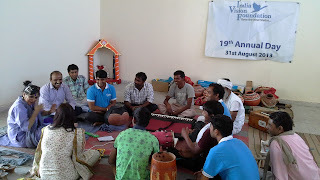 The inmates' music groups at Bhondsi Prison rehearse at the vocational training center inside the prison, which is facilitated by India Vision volunteers and trainers. 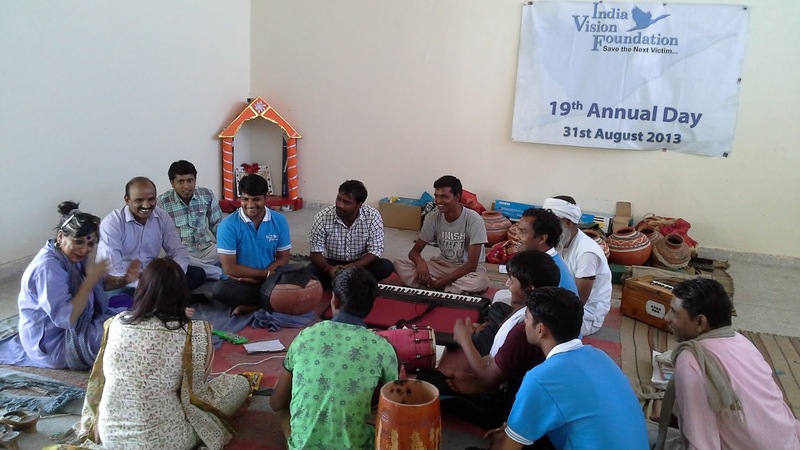 They are provided also with instruments necessary to practice and perform their songs at various prisons. The inmates are also encouraged to partake in the friendly performing arts 'competition' that takes place at Tihar prison in Delhi. Inmates from different prisons and states come together to perform the songs they have been practicing in front of each other as a form of motivation and inspiration for each other. In my opinion, music therapy affirms positive thoughts in the inmates' minds and gives them something worthwhile and encouraging to concentrate and spend their time on. 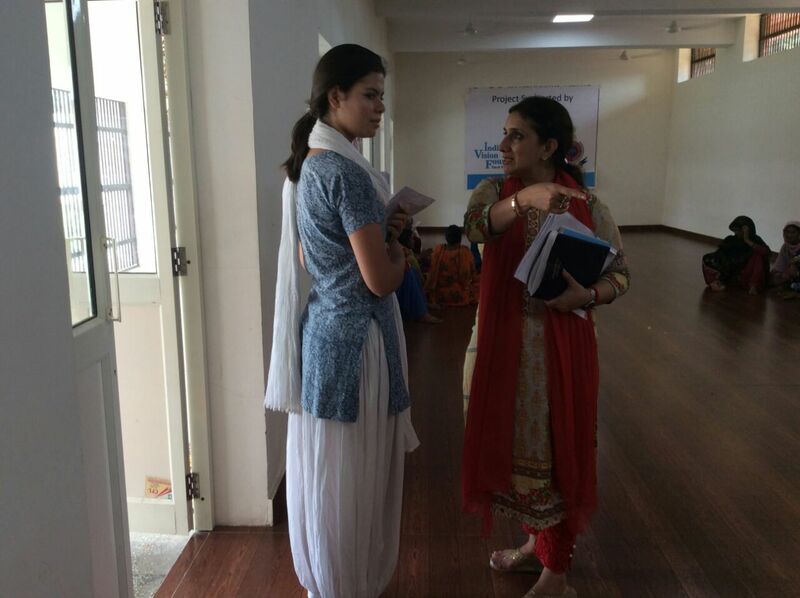 It is a beneficial practice started by the India Vision Foundation at the prisons they have their jurisdiction in. The views and opinions expressed in this article are those of the authors and does not reflect the opinion of the foundation. I didn't know what prison would be like- I'd never been to one. I expected it to be a dull and gloomy place. Instead, once I stepped out of my car to Bhondsi prison in Gurugram, I could see colors, flags, and paintings which the inmates had made. After entering in, I was lead to the male vocational training center through a pathway next to a large region filled with greenery. This center is where a lot of the male inmates learn stitching, art and crafts, dancing, and music. I received an extremely warm welcome from all the inmates and trainers present there. I visited each of the training and practice rooms to understand the benefits the inmates received from these activities. The activities provided them with a goal, hope, motivation, and skill which they could use post release. It was refreshing to see the brave and happy front they put in the face of hardships. 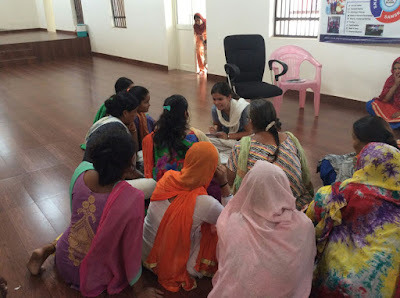 I also saw some of the inmates get certified in a beautician course from VLCC- since it is a skill they can use to start a business post their release. The female vocational training center was smaller due to the population yet had similar activities as the male center such as stitching. 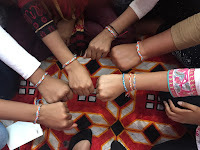 They were creating beautiful jute bags and cotton clothes- it is a real and beneficial skill for them to learn for future job opportunities. India Vision Foundation regulates and encourages skills, such as chocolate making, being taught to the inmates. It was wonderful to see the inmates sit in adult literacy classes and sing religious songs to keep them busy and give them goals to achieve. My overall experience at the prison was delightful as I saw the high spirits the inmates held in the face of adversity.